Southbridge: Ice-skating at Westville Lake Recreation area is now available. The skating area is located to the left of the park entrance gate. Parking and several benches are provided adjacent to the skating area. 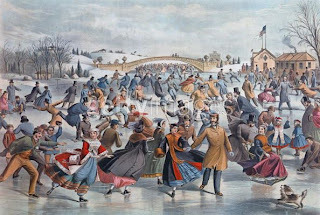 Skating is allowed during daylight hours only, and as long as cold weather and safe ice conditions exist. It is recommended that children wear helmets. For further information contact The U S Army Corps of Engineers East Brimfield lake office at 508- 347-3705.